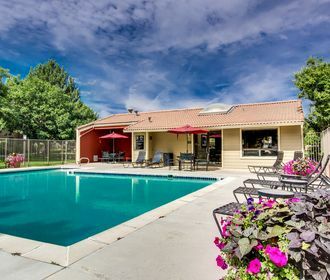 Close to metropolitan Denver, Colorado and the suburb of Aurora, Santana Ridge is a community of one and two bedroom apartments that places you near everything the city has to offer. At the same time, you’ll enjoy a relaxing suburban lifestyle with fun shopping and dining in your immediate neighborhood. You’ll appreciate the charming finishes in your home, including a romantic wood-burning fireplace that adds character and class to your living space. You’ll be equally pleased to find extra conveniences that make your apartment comfortable, such as a washer and dryer set. 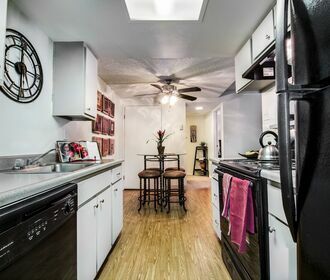 The three attractive floor plans available for rent offer matching black kitchen appliances, separate dining spaces and oversized closets. Your private balcony or patio is a perfect place for sipping a cup of coffee. Beyond your front door, the community encourages you to live the good life with practical amenities that include two swimming pools, a clubhouse and dog park. 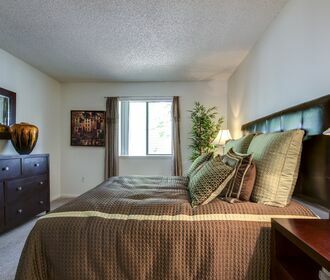 To schedule a tour or inquire about availability, call or email Santana Ridge today.